It’s been awhile since I posted something on vegan week! 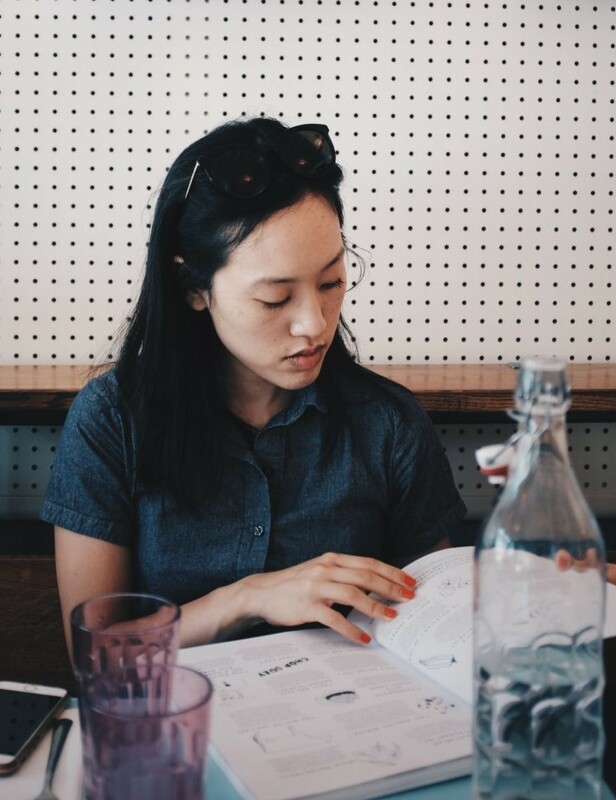 My vegan diet has lost a bit of momentum with all the distractions from my weekend trips, in which there were too many delicious meat and dairy options around me, and these habits carried over into the week. Furthermore, I kept noticing that my workouts were significantly better on the days when I had meat, so I’ve been incorporating meat more regularly into my work week diet. But I still try to stick to mostly vegetables where I can. And this delicious spicy eggplant pasta dish, which is comforting, satisfying and filling, makes me look forward to the vegan work week. The original recipe calls for regular wheat linguine, but I actually swapped it for a brown rice pasta. I wanted to see if I could meet the challenge of vegan, gluten-free and delicious, and luckily this brown rice version passed the test! 1 8 oz. package of brown rice pasta (I used Pastariso Rice Pasta), you can also use regular linguine! 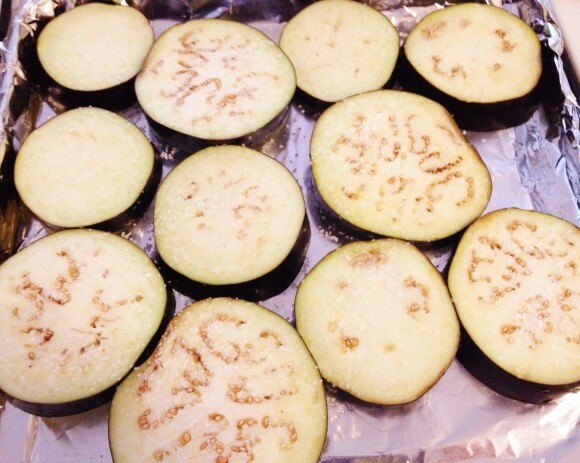 Cut the eggplant crosswise in 1 inch thick slices. Lay the slices on a baking sheet, and salt them well on both sides. Drizzle olive oil over the eggplant, and make sure both sides are coated. Preheat the oven to 425 degrees Fahrenheit. Once the oven is ready, roast the eggplant pieces for about 20 minutes. While the eggplant roasts, heat some olive oil on a large saucepan. Add the chopped onion and minced garlic, and cook for about 8-10 minutes. 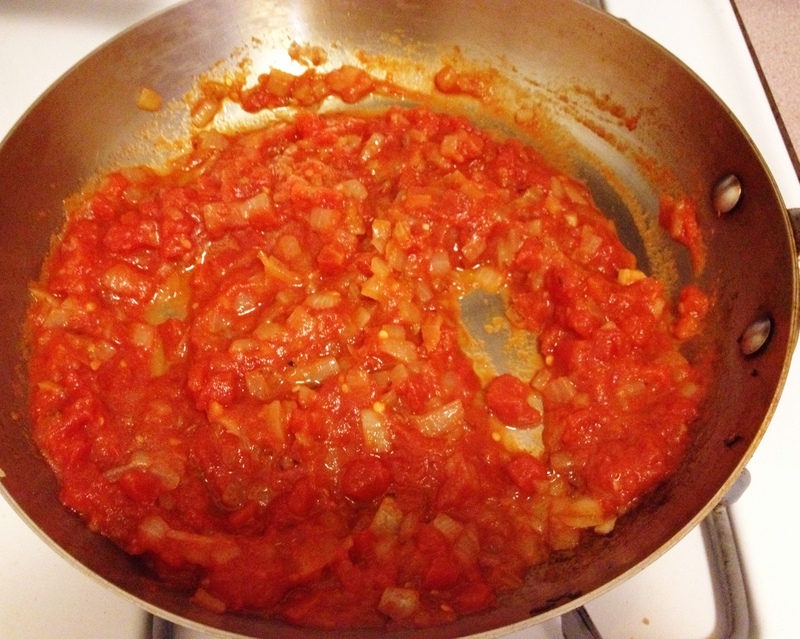 Add the can of crushed tomatoes, dried oregano and red pepper flakes. The mixture will already be pretty thick. Set the heat very low and mix the sauce from time to time. Once the eggplant is ready, slice it into 1 inch pieces and incorporate into the sauce. 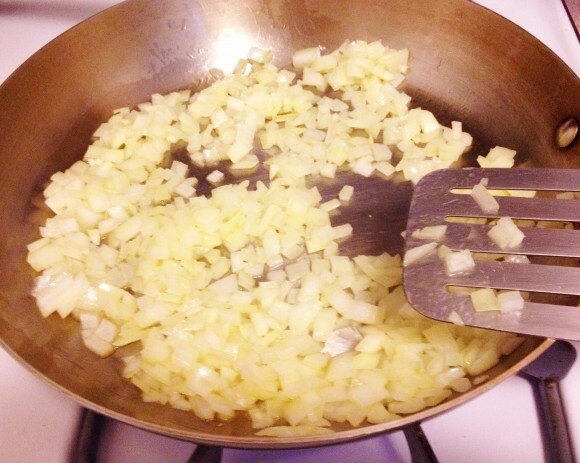 Continue to simmer on low heat until the pasta noodles are ready. 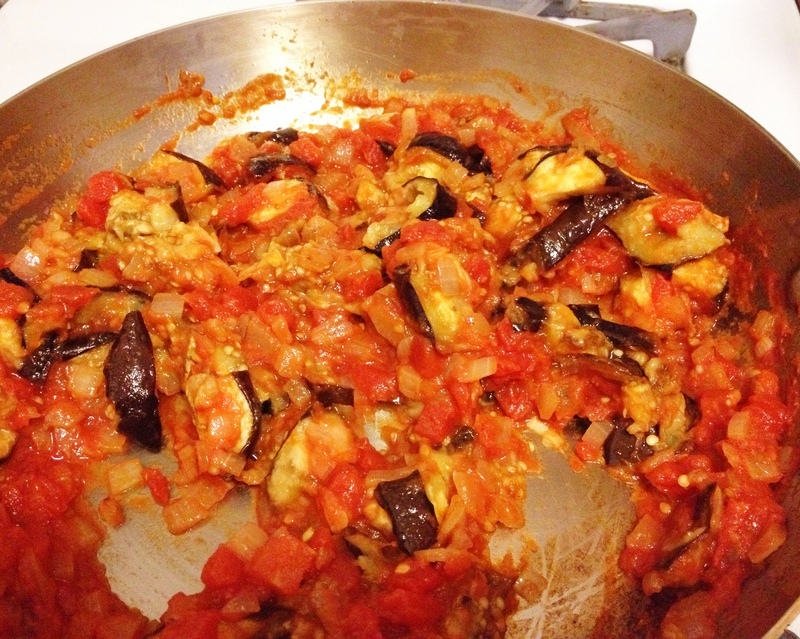 After adding the eggplant to the sauce mixture, bring a large pot of salted water to boil. Add the pasta and cook for about 6-8 minutes. Stir from time-to-time so that the noodles don’t stick together, which tends to happen more frequently with brown rice pasta. Drain the pasta and fold into the sauce. If you’re using the brown rice pasta, be extra careful, as it is not as sturdy and tensile as its wheat counterpart. It is a delicious, slightly nutty substitute though! 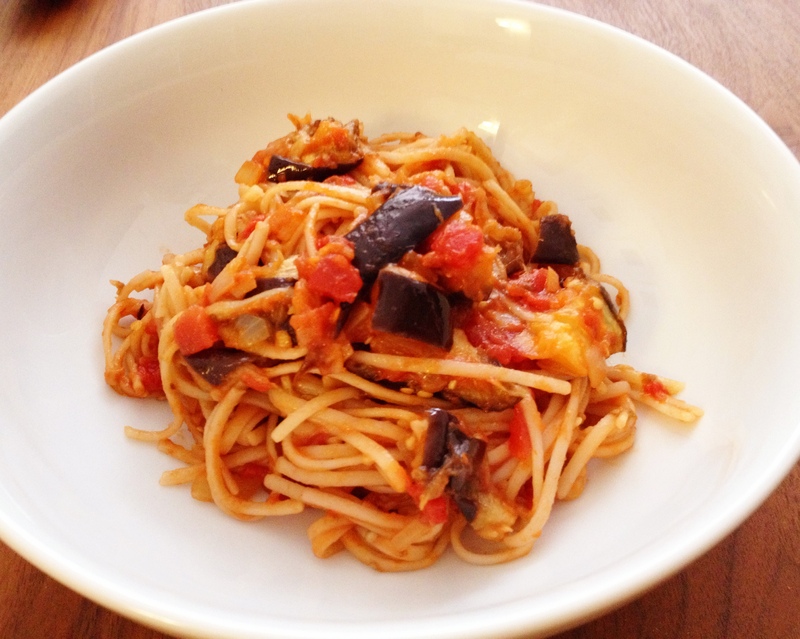 spicy eggplant pasta for dinner – gluten free and meat free, but not free of taste!